Never ignore that still, small voice inside you. 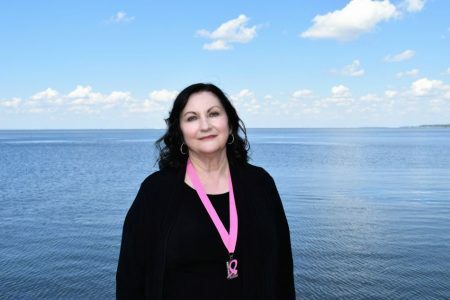 That’s the advice Fairhope resident Carolyn Feltus gives women who are unsure about further checking their breast health. On Sept. 8, she passed 10 years with a clean bill of health after receiving breast cancer treatment. Her story didn’t start with a mammogram. In July 2008, Feltus had rotator cuff surgery on her left shoulder. About a week after her surgery, she discovered a lump in her right breast. Concerned, she called her gynecologist’s office to schedule a mammogram, though she’d had one done six months before. 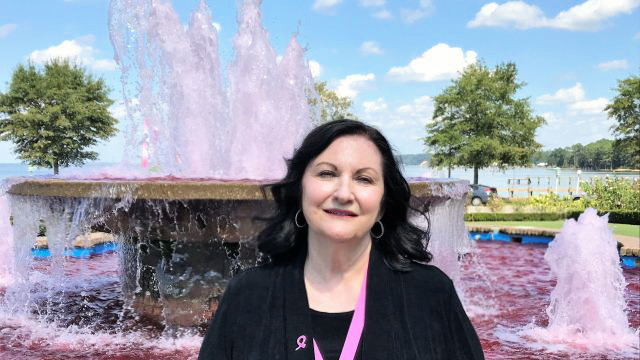 Carolyn Feltus urges others not to ignore their inner voice when it comes to breast cancer from Alabama NewsCenter on Vimeo. “I requested that they do a sonogram, as well, to check out the lump, and they did,” added Feltus, who retired in 2017 from Alabama Power’s Mobile Division as an administrative assistant to the vice president, after a 29-year career. The gynecologist and her partner, along with a radiologist, read the reports. Though they all acknowledged the lump was there, the doctors agreed there was no problem. Still, worrisome doubts remained. “I kept thinking and thinking about what they had told me, and this quiet little voice in my head just would not go away,” she said. Feltus decided to see a surgeon in Fairhope for another opinion. Two days later Feltus had surgery to remove the lump. Afterward, Feltus went to the Mitchell Cancer Institute in Mobile. Dr. Adam Riker, the hospital’s executive director, was her doctor. Riker and other physicians decided that Feltus needed a complete mastectomy on her right side, which would allow her to avoid radiation and chemotherapy. She took a cancer-preventative drug, Arimidex, for 10 years, from September 2008 to September 2018. The ramifications of that decision still hit her like a ton of bricks. “I often wonder, ‘What if?’” said Feltus, who has a lovely home in Fairhope and has been married to her husband, Ed, for nearly 40 years. The couple’s lives revolve around their 16-year-old granddaughter, Sierra, who lives with them. “What if I hadn’t insisted on getting an answer?” Without treatment, Feltus knows that her story – indeed, her life – could have ended. “God blessed me on my journey,” she said. In the years she’s been cancer-free, Feltus has accomplished much for Mobile and Fairhope. As the chair of the Mobile Bicentennial Committee, Feltus is integral to planning celebrations for the Mobile area and Alabama. She organized the Alabama 200 launch ceremony in Mobile, forming a strong bicentennial presence in the Gulf Coast area. She puts her considerable leadership skills to use as secretary for the Bay Shore Christian School Board, for which she also serves on the governance committee. She has been on the board of Feeding the Gulf Coast since 1992, is a past president and serves on the governance committee. Feltus has been a member of Executive Women International for 25 years. 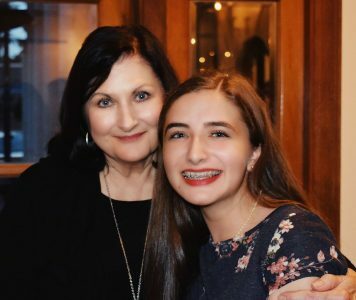 She is assistant treasurer for the Mobile Energizers, which is the retiree service arm for Alabama Power, and is a longtime member of the Alabama Power Service Organization. Despite her many civic commitments, Feltus has a deep-seated need to help others who suffer from breast cancer. She knows about 20 women who have survived the disease. She said that, by sharing information and knowledge, a focus on breast cancer is saving lives. Educating others about the importance of breast cancer checkups and personal monitoring is near and dear to her heart. Major surgery, such as a mastectomy, often takes a huge emotional toll. Much physical and emotional healing is required. Other patients ask Feltus about what she did in the aftermath of breast cancer. 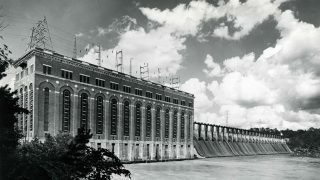 The project was the first hydroelectric plant built by Alabama Power. 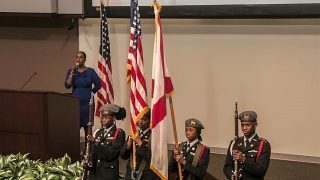 Alabama Power celebrated its military veterans Nov. 5.